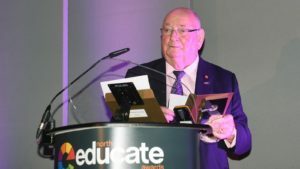 The shortlist has been announced for the 2019 Educate North Awards. These prestigious awards celebrate the best of the region’s university and further education institutions and will be presented on April 25 at the Hilton Hotel, Deansgate, Manchester. For more details and to book tickets, visit the Prolific North website. This entry was posted in Educate-North and tagged educate-north, manchester, prolific north on April 2, 2019 by . Radio stations Smooth North East, Smooth North West and Heart Yorkshire have all returned as official partners of the 2019 Educate North Awards. The Awards will be sponsored by the Communicorp Ltd owned companies for the second year running and will highlight the best achievements of Universities throughout the region. For more details, visit the Prolific North news story here. This entry was posted in Educate-North, Uncategorized and tagged educate-north, Heart Yorkshire, Smooth North West, Smoth North east on November 12, 2018 by . 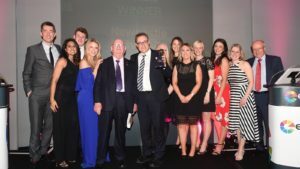 The Educate North Awards – the leading event for the University and Higher Education sector – returns on Thursday 25th April 2019, at The Hilton Hotel in Manchester. Launched in 2014 by John and broadcaster and producer Rob McLoughlin OBE, the Awards have gone from strength to strength. For more information, visit the Prolific North news story. This entry was posted in Educate-North and tagged educate-north, manchester on October 29, 2018 by . Bertie Ahern, the former Irish prime minister, will deliver the 11th John Kennedy Lecture in Liverpool on 22 November, 2018. Bertie Ahern retired as Taoiseach (Irish Prime Minister) in May 2008 having enjoyed the unique distinction in modern Irish politics of being the first person in over sixty years to have been elected to that office on three successive occasions. He served as a member of Dáil Éireann (the Irish Parliament) for almost 35 years. He was first elected to the Dáil in 1977 for the constituency of Dublin-Finglas and he represented Dublin Central from 1981 until 2011. He was Minister for Labour from March 1987 to November 1991 and was appointed Minister for Finance on three separate occasions from November 1991 to December 1994. During this time he was one of the Irish representatives to sign the Maastricht Treaty, having been heavily involved in its negotiations. Bertie Ahern was first elected Taoiseach in June 1997, he was re-elected in June 2002 and again in May 2007. In 1997 his party was elected to government in coalition with the Progressive Democrats. This minority administration was supported by a small number of Independent members of Parliament. Bertie Ahern received widespread praise for his political skills in ensuring that this administration served its full five year term and delivered on real political and economic progress for the Irish people. On the wider world stage during his Presidency of the European Council from January 2004 to June 2004 Bertie Ahern presided over the historic enlargement of the European Union to 27 member states including eight countries from Eastern Europe. He led Ireland to take leadership roles on key global issues such as increasing aid to developing countries and tackling the spread of HIV AIDS. Bertie Ahern’s achievements as a leader at home and abroad have been recognised internationally. He has been conferred with honorary degrees by several universities and is one of only five people to enjoy the great distinction of having been invited to address both the Houses of Parliament at Westminster and the Houses of Congress of the United States in Washington D.C. The defining moment of this period and a defining moment in Irish history was the successful negotiation by Bertie Ahern and Tony Blair of the Good Friday Agreement between the British and Irish Governments and the political parties in Northern Ireland in April 1998. The Good Friday Agreement transformed relations for the better between Ireland and Britain, between Ireland, North and South, and between different traditions within Northern Ireland. It instilled a new ethos of tolerance and respect into politics on the island of Ireland and between diplomatic relationship between the islands of Ireland and Britain. This entry was posted in John Kennedy Lecture and tagged Bertie Ahern, John Kennedy Lecture on October 25, 2018 by . Hundreds of academics, students, executives and business people from across the North and the UK celebrated the region’s thriving education sector at the Educate North Awards on 26 April. The Radisson Blu Edwardian Hotel proved a suitably splendid setting for a night that championed success and brought together leading vice-chancellors, principals from the FE and Sixth Form sectors as well as some of the most talented staff in the North’s higher and further education institutions. 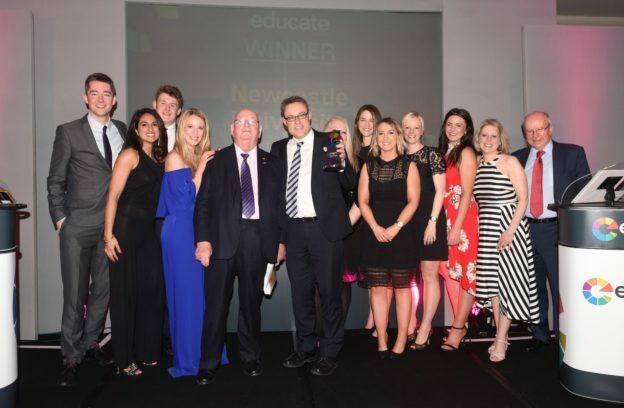 Delivered in association with RM Productions, Don’t Panic Events and Prolific North, a total of 17 categories were awarded, culminating in the prestigious University of the Year title which this year went to Newcastle University. 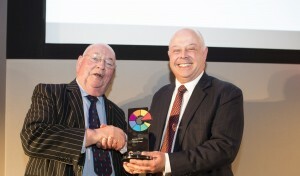 The Lifetime Achievement award, meanwhile, was awarded to Jim Keaton MBE of Liverpool Hope University. A full list of winners can be found below. Entries had been up almost 40% this year following a major radio campaign with partners Smooth Radio North West, Smooth North East and Heart Yorkshire following a tie-up with parent company Communicorp UK and The Ministry of Results. You can read more about the event and see photos of the winners on the Prolific North website here. This entry was posted in Educate-North and tagged educate-north, smooth radio on September 25, 2018 by . This entry was posted in Educate-North and tagged educate-north, liverpool john moores university on September 25, 2018 by .